This week I'm excited to announce that we are launching 3 new Talla products. Well, technically 2 new products and one major upgrade, but the latter also feels new with all the improvement. 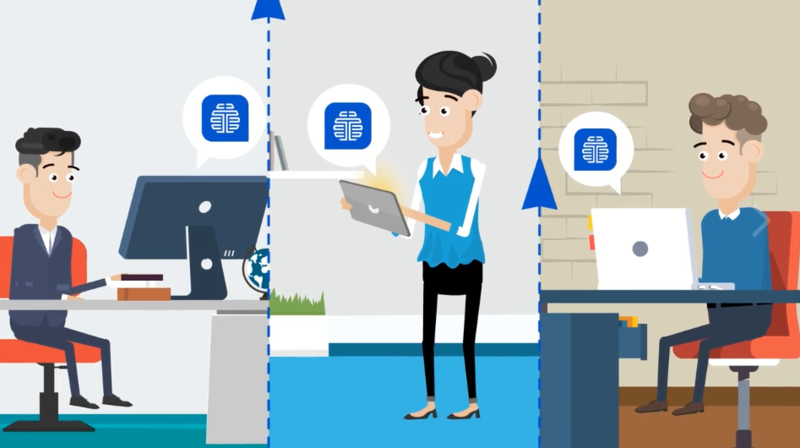 Earlier this year we were focused on "customer facing teams," and while we still have customers in Sales and Success, it is clear that the biggest interest in AI automation comes from Customer Service and Support teams. With that in mind we've revamped the Talla Platform into three parts that can be used separately or together, and map more directly to key Service and Support workflows. The three new products are: a knowledge base for support teams, a rep assist tool, and a customer facing self service automation tool. More details will come in future posts, but for now here are the highlights. Today we have a big announcement. You’ve probably watched the “bot” industry over the last year with some skepticism. We have too. 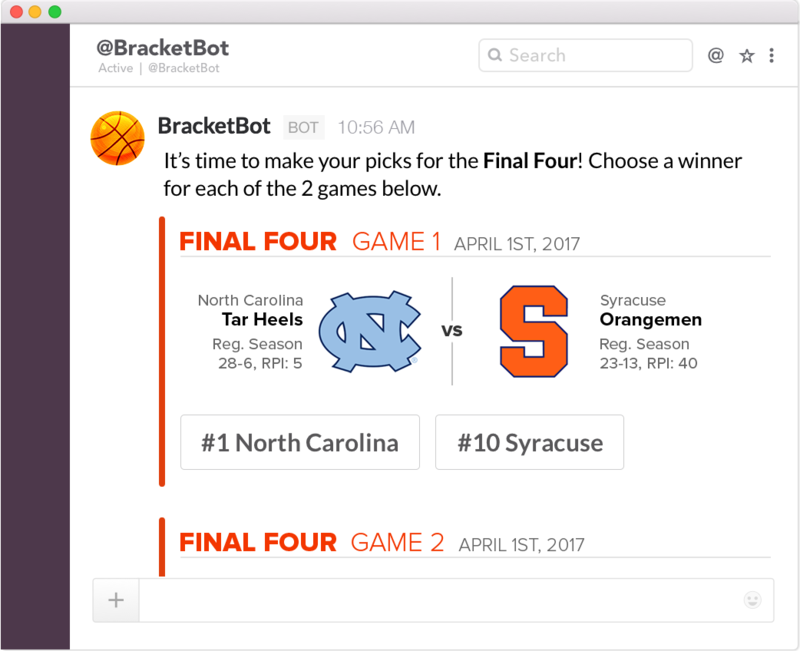 And we spent the last year building a product with everything we learned about bots that we believe highlights all the strengths of bots and conversational interfaces, without the weaknesses. 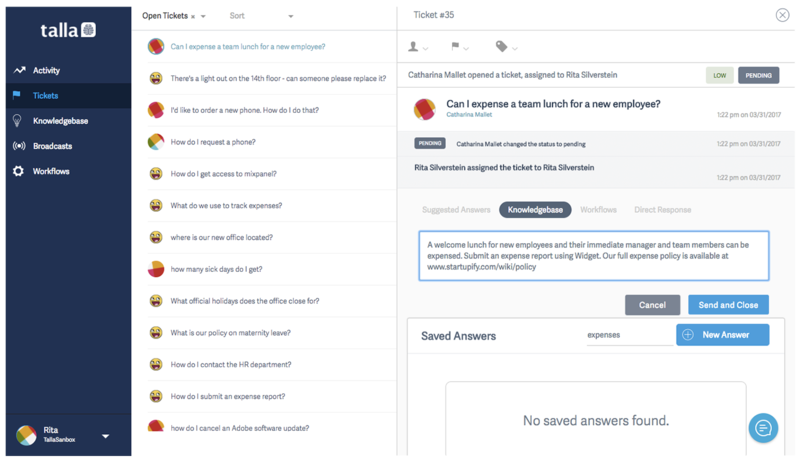 Today, we’re excited to announce the launch of the Question & Answer Assistant, our second Talla. 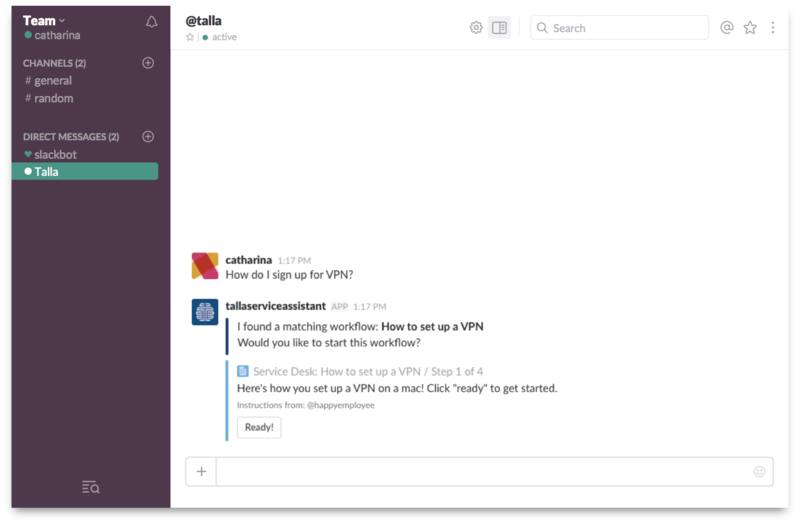 You can teach Talla the answers to various common questions in your organization, and she can provide the information to your employees directly in Slack. And because she’s trainable, in cases where she doesn’t already have the information an employee needs, she’ll let you know so you can add it for next time.